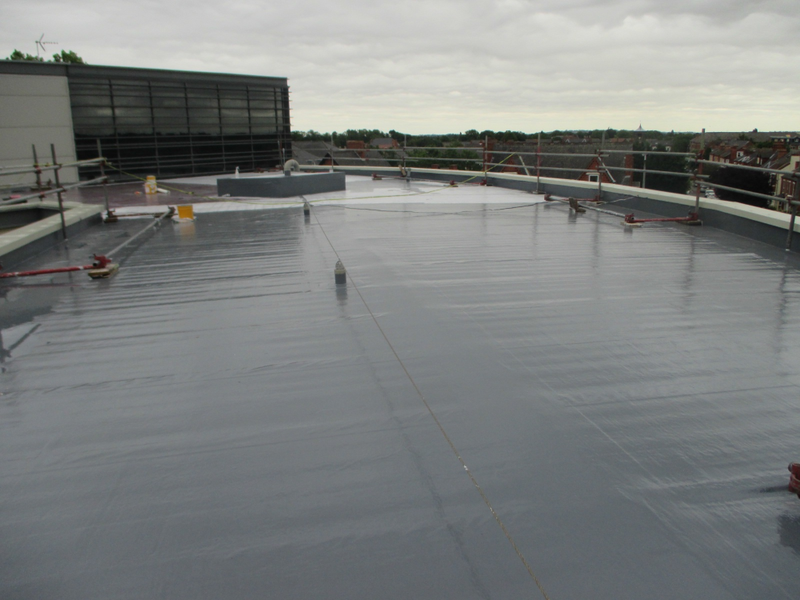 This fairly new constructed building was experiencing major problems with it’s failed single ply roofing system. 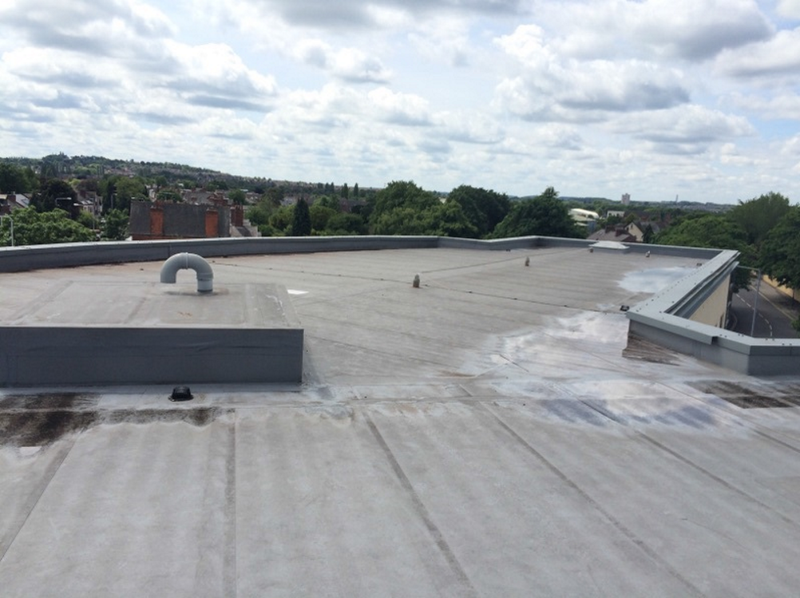 The client had carried out surveys with Sika Liquid Plastics and they specified the application of a Sika Decothane Gamma 20 System. 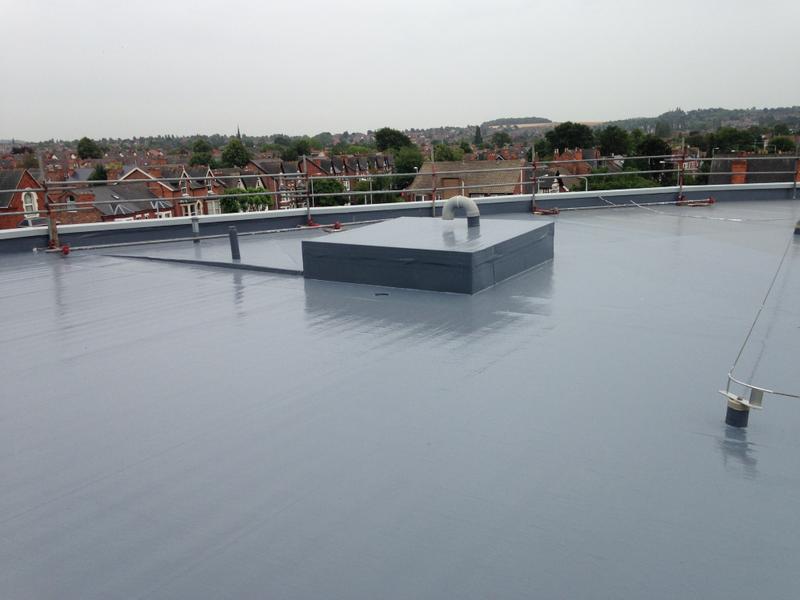 This consisted of leaving the failed single ply in place and installing the new fully reinforced cold applied liquid roofing system straight over causing no disruption to the busy office below. The entire 1000m² was completed in 2 weeks.